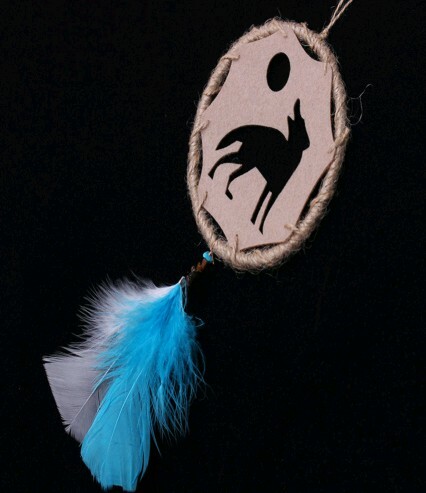 The wolf Moon Mini Dreamcatcher features a cutout of a Wolf howling under a full moon. It is made of rope, felt, feathers and beads. Makes a cute Wolf decoration for a car.